City Locksmiths Gwent Ltd - Locksmith based in Langstone, Gwent. 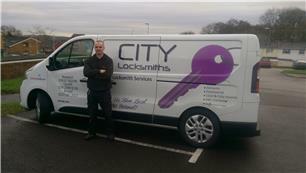 City Locksmiths Gwent Ltd are a locally based independent company. Nick is your engineer who was trained with a national company in 2009 but soon became disillusioned with the way they operated so he started City Locksmiths in 2012. Nick is DBS checked - fully insured - MPL Certified- NCFE accredited and in 2012 passed his accreditation (Level 3) in Locksmithing. In 2017 Nick attended MPL's Training centre and is now certified in advanced picking techniques. City Locksmiths always give a professional service & guarantee all the work carried out. City Locksmiths can repair / replace all types of uPVC door locks, wooden door locks, garage door locks, patio door locks, window locks and more. City Locksmiths cover all area's including Newport, Cwmbran, Pontypool, Abergavenny, Chepstow, Monmouth, Ebbw Vale, Tredegar, Usk, Cardiff, Caerphilly, Pontypridd, Aberdare, Porth, Cowbridge, Bridgend and many more. City Locksmiths are UPVC specialists and can resolve your door/lock problem so just give us a call on 0800 612 4976 today. Nick has been trading as a locksmith for 10 years and is Gwent's Premier Locksmith Service. Nick has passed his NCFE Accreditation in Locksmithing so you know you are in safe hands. City Locksmiths Gwent Ltd do NOT sub contract out any work out.....so you will have an uniformed locksmith with a sign written van and has 10 years expierience. We are your local supplier of Brisant Ultion cylinders & keys. Newport - Cwmbran - Monmouth - Chepstow - Pontypool - Abergavenny -Risca- Usk - Ebbw Vale - Cardiff - Barry - Bridgend - Pontypridd - Penarth Caerphilly -Bristol - Weston Super mare - Portishead.